A Cardboard Problem: Ichiro! Ichiro! Ichiro! 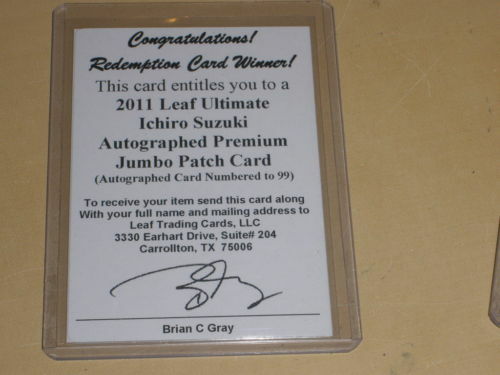 Now is your time to finally get an autographed Ichiro card. Leaf Metal Draft released this week, which is essentially a prospect product. 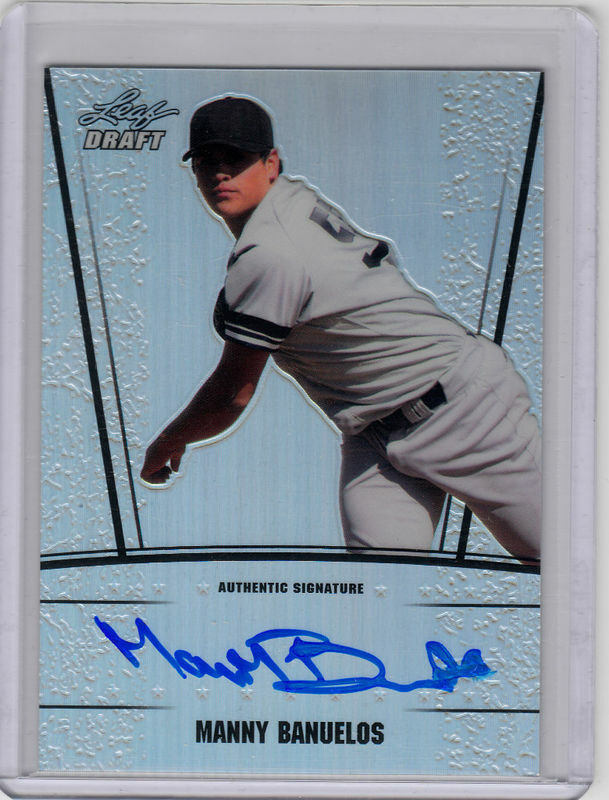 Collectors can expect these kinds of cards in there with players such as Manny Banuelos and Bubba Starling. 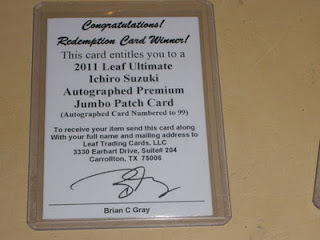 However, international star Ichiro has his first autograph in years in the set - as a redemption. The first of these redemptions have popped up on eBay. While many of the Buy it Now options (here and here) have the card going for an insane price, here the first auction that is set to end. I’d like to see where this one goes.